Awesome opportunity to own this one of a kind open floor plan ready to move in! !Over 2 1/2 peaceful acres to enjoy. 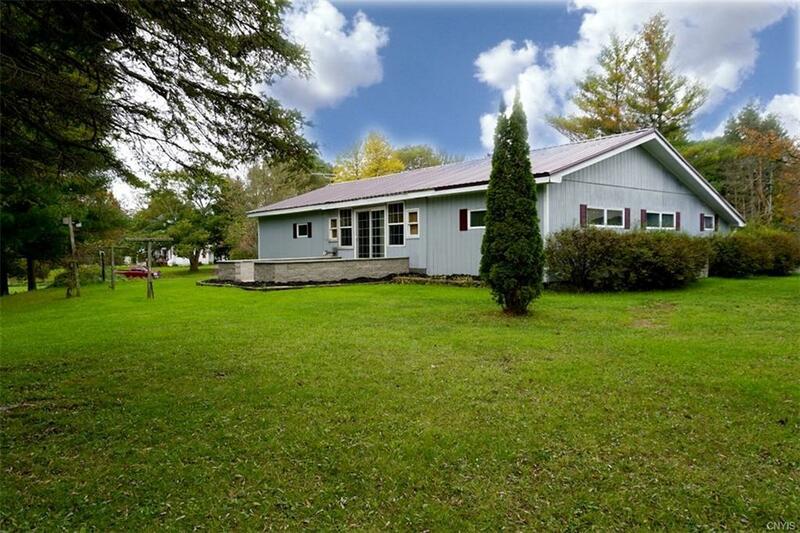 Many updates that include furnace ,hot water tank, new roofs on house and 3 car garage!Big barn for all your toys and storage.Updated kitchen with granite and new cabinets. Gleaming floors through out the whole house.2 full baths very large bedrooms and plenty of closet space. New patio off family room .Whole house generator updated windows, newer septic system .Call and schedule your showing soon this will not last long. Directions To Property: From Baldwinsville Take St. Rt 370 Though Cato To 1354 St Rt 370 It Will Be On Your Left.